‘Slimy,’ ‘blackmail’ and ‘#ProfitsoverPeople’ are among the many rancorous postings on social media about the insurer’s announcement. What does Aetna have to say? Not much. Aetna’s Facebook page Wednesday morning offered friendly visuals and tidbits about nutritious back-to-school lunches and mindful meditations for moms. There wasn’t a hint about Tuesday’s announcement that the firm would be leaving 11 of the 15 states where it offers coverage in line with the Affordable Care Act. Still, consumers refused to let the Hartford-based insurer quiet their disdain for the move. People also questioned the company’s financial motivation. Harshly worded comments were posted to Aetna’s “softer” stories. Aetna’s announcement came on Tuesday, but by Wednesday morning the news had gained momentum. 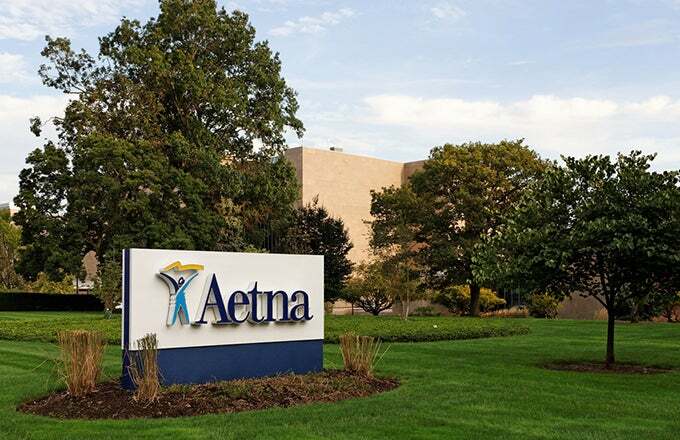 Journalists scrutinized a recent letter sent by CEO Mark Bertolini to the U.S. Justice Department that hinted of possible repercussions if the feds were to block Aetna’s planned $37 billion merger with Humana. The Huffington Post reported that Bertolini had threatened to leave all public exchanges in 2017. Bertolini has cited unsustainable losses of $430 million over the past two years. Only four months ago Bertolini was bullish on Obamacare. “We see this as a good investment,” the insurance chief told investors on a call in April, touting the 1.2 million new customers that had flocked to Aetna under the health law’s new online markets. He also repeated in May that the company planned to stay in the exchanges. One thing that changed since then: The Department of Justice’s effort to stop Aetna’s proposed $37 billion merger with Humana. The two sides go to court in December. Democratic nominee Hillary Clinton has pledged to modify the law to expand coverage and wants to add a public insurance option. Are communicators at Aetna managing the news—and fiery comments—appropriately? Are silence and updates about sugary drinks enough to quell or divert the online conversations? How would you address the stream of rancor on social media?